In many Indian houses there is no waste segregation at all, although India has a long history of waste segregation as well recycling. It is an interesting fact, that 60% of waste in India is recycled, which is not a bad result considering we are 1.3 billion people. Who is behind all of this? India has a long tradition of rag pickers, people who come to our homes and collect the garbage. This people then separate the items, which can be sold to the recycling companies. 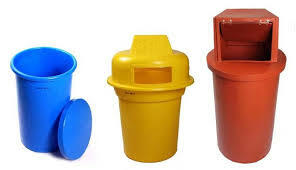 From the mixer of our garbage of wet and dry waste they pick out materials like plastic bottles, paper, glass and metal which can be easily recycled. We call them Kabari. This is the way how 1 million people in India earn money for living. Have you ever thought about the fact that somebody has to take care of all the waste which we produce? What if one day nobody comes to collect your garbage? I am sure we are not thinking about the waste we produce. But they do. And we will have to think about it as well. The waste system in India made us lazy and spoiled. It is not regulated by municipal; it is way to make money for low caste Kabari. We don’t feel bad, because we think somebody is making money out of our trash. Somebody has a work because of us. Is it true? Can we justify it? We are living in a segregation of people. Even if we don’t believe in the caste system anymore, it is unfortunately still not eradicated. One the best examples will be rag pickers, who have a work which is considered as one of the lowest ways of working in the society. Their kids often don’t go to school, because their parents need them to pick out the useful trash from the bins. They are waking up early in the morning to earn enough every single day. They are searching for good spots like tourist places, where they can find the most plastic bottles which bring the most profit. But In the end of the day, are our roads and parks clean? The result of this kind of system is that they just pick the garbage which can be easily recycled and can generate profit. Everything else is mixed in big containers and dumped in to the land. Waste is destroying our land for agriculture, poisoning our drinking water, polluting our air and affecting our health. Our wet kitchen waste is mixed with dry waste and made some reusable items non reusable at all. Kabari’s Kids are not going to schools. We are reaming the status quo in the Indian society. We are not reducing the poverty. Segregation is important because if we segregate properly we can actually recycle more than 90% of our waste! 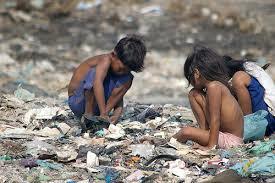 India is presenting 18% of world population and produces 3% of world waste. 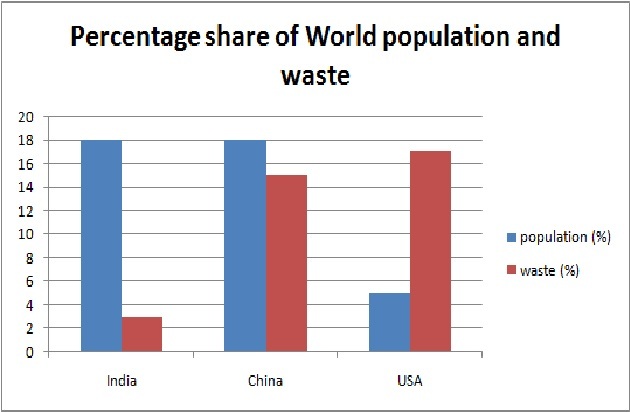 It means that comparing to USA or China, India produces less waste. But the problem is that waste is not segregated properly. 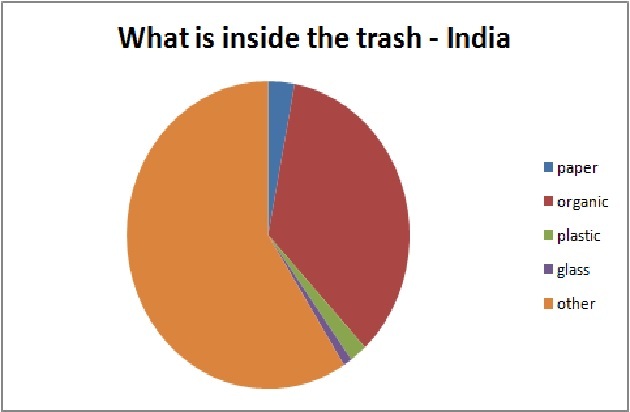 In India is categorized as “other waste material” more than 60% of the waste. In couple of years, population in India will increase drastically. We will produce much more waste because of the growth of population as well because of the growth of our economy. It is a responsibility of all of us. With a good segregation we will not just take care of environment, but we will also bring more justice into society. That will happen only, if every one of us will be involved in the process of waste management. “If I start to segregate my own waste, I will take away jobs from so many people!” We will not take away jobs from the people, not at all. Every society in our trash world needs waste management and service that take care of it. But let’s make this job more appropriate for people. Let′s recycle as much as we can with technology which we have these days. 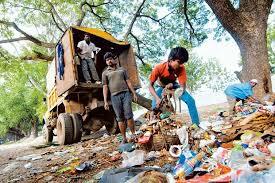 Let′s send kids to the schools, instead of send them to pick the garbage. Let′s give them a childhood which they deserve. And in the end – respect the work of garbage pickers! Segregate your plastic materials, paper, and glass; use your own kitchen waste for compost. Your contribution is a bingo! You will help environment as well as a million of people. And you know what? It is super easy and it doesn’t take much time. All you need is different boxes or bags for your waste material. Start today!!! Of course, we are buying because we simply have needs. 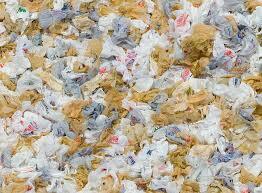 We also produce waste material. If we just go through one day and try to count what all we have thrown away in a single day we can imagine probably one full trash bin. Now let′s multiply this quantity with 365 days in the year. And then, multiply it with 7 billion people in the whole world. Can you imagine how much waste is that? Can you imagine how much waste we produce? People have knowledge about waste problem and they are also aware of the recycling process.” My trash is collected every day by the “garbage man”, so it is their responsibility to segregate it and recycle. 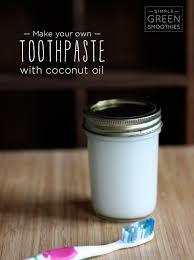 After all, we have proofed methods and we are already solving a problem of waste. It seems that it is so easy to agree with that statement. But the truth about recycling is different. A simple segregation is based on plastic, paper, organic waste, wood, glass…Most of our products are out of plastic. Plastic bottles, plastic bags, toys, some furniture, cosmetics – we can recycle them one, two, three times, but after that the plastic is so used that it ends up on the big trash hill as a waste which we cannot recycle or use anymore. That doesn’t mean that recycling is not a solution and a way to deal with the waste. However, unfortunately it is not enough. Wood, glass, paper waste we can recycle again and again. These natural resources are renewable but limited and extremely important for our existence on the Earth and that is why it is very important to conserve them. Our industry is growing faster and faster. We are using our resources in unbelievable dimensions and it seems like, we are not aware of the fact that they are limited. Recycling is a solution to manage the garbage which is already generated. But more importantly, we will have to start to think about different ways to reduce waste in the first place. That can be done by purchasing materials with less packing, reusing materials as many times as possible and not buying unnecessary items. We have to save resources for a better life not just for the future generations but for ourselves as well. We have to change the way we are thinking. We have to put some effort to change our habits. But after a while, you will notice that it is very easy to do all these small steps and make a huge impact on the Earth. It’s worth. Don’t forget – everyone counts! Plastic is one of the most used materials, everywhere around us. It was invented in 1907 by Leo Baekeland who invented the first fully synthetic plastic, which means that it didn’t contain any molecules found in nature. It was a revolutionary discovery – the first time human being and their needs were not constrained by the limits of the nature. Plastic originally means “pliable and easy shape”. It became a material of thousand uses. Till 1960, Plastic saved trees from deforestation and helped animals to keep their habitats. It also helped people. Goods became more accessible and packaged food improved the health sanitation. Unfortunately, after the use of plastic– it became just garbage. It became harmful to humans, animal and plant life in our environment. During these years, Ecologists and Environmentalists have recognized that plastic stays forever in the environment. Plastic is non-biodegradable. It only starts degrading in 700 years. This means that all the plastic that have ever been produced has not degraded yet. 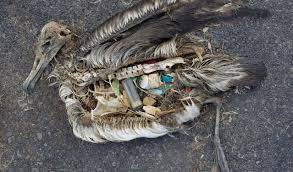 Plastic have done a huge damage in human and natural habitat. Now days we need more and more space to collect it. For example, globally we use 160 000 plastic bags every second! Meanwhile we are still polluting our soil, water, air. Our soil contains hazardous chemicals which are then transmitted to the food we eat. Our drinking ground water is polluted in a way that it has never been before. We are breathing unhealthy air. We are destroying our environment, we are poisoning ourselves. The plastic industry found a solution itself in recycling. But that unfortunately did not stop the production of the plastic, which descends toxic gasses. If we have to, which plastic should we use then? 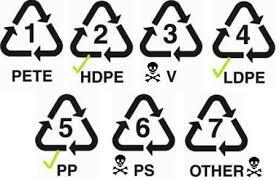 Plastic, with these codes are not descending toxic gases. Still, we have to be aware about every code of plastic. 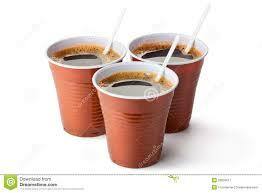 Plastic with code number 1 for example it is considered to be a safe plastic, but it should not be reused or heated. 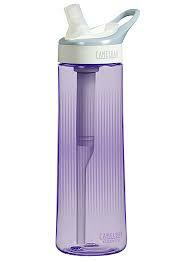 Usually this is the plastic used for water bottles, cooking oil and cold drinks. We can find them in bibs, mattress covers, commercial grade plastic wrap, detergent containers, Styrofoam coffee cups, opaque plastic spoons and forks. They are extremely unhealthy and very difficult to recycle. 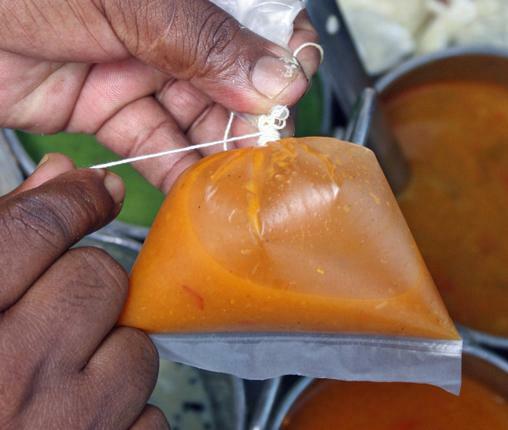 It is very important not to keep hot food in any kind of plastic bags, boxes or bottles. The reaction is more intense at higher temperatures and therefore more harmful gases which make our food very unhealthy. Packed food in plastic bags or boxes is extremely unhealthy! But how can we actually stop pollution from plastic at all? I would recommend banning plastics! Recycling is not solving the problem in a long term. We have to cut down on the use of the plastic. 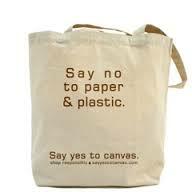 For example – with using reusable shopping bags. It sounds as a small effort but it is not. Together we can drastically lower our plastic waste. As costumers we have a power – if there is less demand of plastic, there will be a decrease in production as well. We don’t want a plastic world, right?